In 2010 Panshak ‘Ice Prince’ Zamani debuted with ‘Oleku’, a hit so huge it catapulted the Plateau state born dude to instant superstardom and placed him right up there- second only to MI- as the biggest name in rap. He titled his 2011 debut album ‘Everybody loves Ice Prince’ even though critical reviews suggested otherwise and commenced a back breaking schedule; touring the world, taking his music to far flung corners and warming his way into the hearts of pop music lovers with his boy-next-door appearance and straight to radio hooks. For his second merry go round, he dished out some some of the most addictive confections (‘More’, ‘Aboki’) of his career and while the hard to please hip hop heads complained of a constant squandering of potential, the tween crowd and pop afficionados took to him like bread on butter. The sophomore album ‘Fire of Zamani’ comes with the kind of sleek packaging reserved for the biggest stars. 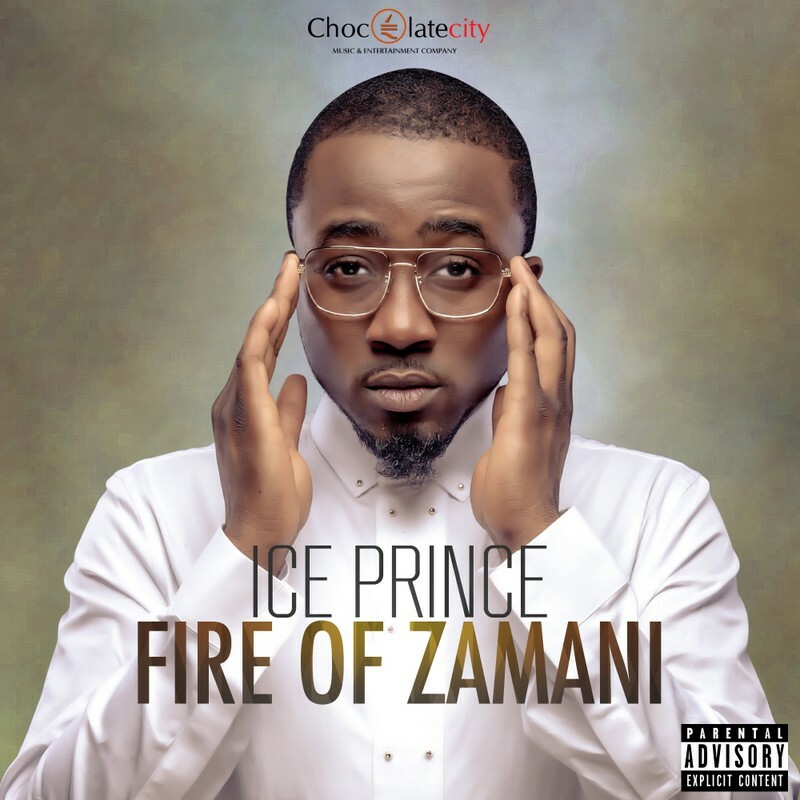 Ice Prince’s label Chocolate City has become (one of) the biggest record label in the country and so they pull out all the stops, throwing their full weight behind the disc. While the primary producers Chopstix and Sammy Gyang remain home grown, they enlist the help of big name soundmen Don Jazzy and Jay Sleek as well as foreign assistance in the shape of American rappers, Wale, French Montana and grime UK rapper, Chip. The opener ‘Stars and light’ is big, broad and is as close to a Jay-Z-like stadium arena sound as Ice Prince probably can get. Ruby Gyang is super stellar on the epic, galactic chorus and Ice Prince launches into a narrative about his first world problems. His verses are a bit all over the place for an intro and then he rounds up with the lines; If there’s ever been a rap this fly/ it had to be done by MI’s guy. MI’s guy zooms back down to earth on ‘My life’, an easy listening pleasure with Sammy Gyang on keys that works despite cringe-inducing bombs like People carry my matter for high court/say my indomie I don dey package am with titus. He hooks up with veteran Sound Sultan on ‘Pray’ and while the lyrics somehow rope in Linda Ikeji and Rita Dominic, the song is unimpressive and fizzles out quickly. ‘No die tomorrow’ is another middling effort that has Ice Prince explore his poilitical sides. When it comes to crafting solid sing along hooks and choruses, Ice Prince is king and he is in prime form on ‘Mercy’, sampling dance hall queen Diana King before being outshined by Chip. The same formula is employed on the pleasers; ‘Jombo’, ‘Komotion’ with a subdued Wizkid and the highlife feel good bounce of ‘Person wey sabi’. Sunny Nneji stops by for ‘Whiskey’, an arresting tour de force that has an earnest Ice Prince narrating life lessons on the evils of liquor. The lone Don Jazzy input, ‘N word’ is a ferocious chest thumping rant that would have packed more punch if it didn’t sound like it was jacked from some Rick Ross or Maybach compilation album. You almost expect Drake to start singing. The Chopstix produced Choc boyz anthem ‘Kpako’ with MI and Jesse Jagz (and absent Brymo) is pale and constitutes one of the team’s weakest anthems, lacking any real stakes, with everyone just coasting along non commitedly. There is more passion to be found on the extended ‘Gimme that’ with Yung L, Burna Boy and Olamide putting up spirited attempts to triumph over the other. Jeremiah Gyang, coming off his own music purgatory seems to have been re-admitted into the Chocolate City fold. He grabs the closing ‘On my knees’ from Ice Prince’s generous hands and runs with it. It isn’t the best work from the dude who brought us ‘Kauna Allah’ and ‘Na ba ka’ but it is a potent reminder of his capabilities as a vocalist and a notice for those unaware of his talent. The move seems to be more strategic than generous though as the label seems to be prepping him for re-entry into the mainstream. Ice Prince is not the artiste some would wish him to be but he is exactly the kind that sells millions of records and hangs around for as long as he keeps making the hits. Malleable, discerning and calculative, he knows what the vast majority wants and dishes it in piles. ‘Fire of Zamani’ burns as bright as he wants it to, with Ice carefully dousing the flames anytime they threaten to spread beyond his control zone. The songs glide by easily and go down smoothly. Easily accessible and ridiculously catchy, ‘FOZ’ has Ice Prince tuned to his audience as he glides between the good stuff and the bad, the songs of fire and those of ice.